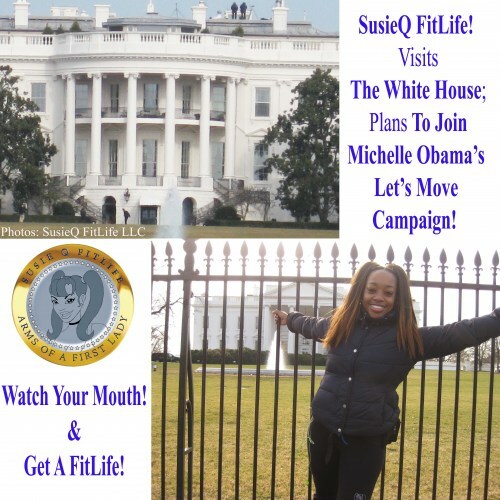 SusieQ FitLife visits The White House with plans to join Michelle Obama’s Let’s Move Campaign! Who knew Sherri Shepherd from ABC’s The View would have sparked off such a tremendous and charitable work effort in SusieQ after making one statement. Sherri told SusieQ that she has Michelle Obama’s Arms on National Television. SusieQ felt inspired by Sherri & wanted to honor our First Lady Mrs. Obama in creating the “Arms of a First Lady” Official Arm Workout Fitness DVD! It has sparked much celebrity and media attention. Personally, SusieQ struggles with weight and feels the need to help people as she works on strengthening herself, simultaneously. Very often you will hear her chant “Watch Your Mouth” & “Get a FitLife!” The statement is not reprimanding someone for saying something wrong. However, “Watch Your Mouth” is SusieQ’s way of telling people to watch what foods they are putting into their system! Nutrition is an essential key factor says, “Q” in order to “Get a FitLife!” What is that you ask? SusieQ says a FitLife consists of balance in all aspects from career, family life, self-care, physical fitness and you guessed it… nutrition! Make no mistake about it. 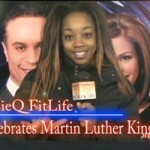 SusieQ is determined to help shake up the nation health-wise and work with Michelle Obama on the “Let’s Move!” campaign. Next stop an invite to the White House! Let’s watch and see what happens. In the meantime “Watch Your Mouth” & “Get A Fitlife!”; while you watch this energetic video request! Check the SusieQFitLife.com or ArmsOfAFirstLady.com for details!